You are here: Home / Crochet Other / Affiliate Posts / Furls / The New Furls Candy Shop Hooks are Here! Blueberry, Pineapple and Plum! Furls has just released 3 new sizes in their colorful Candy Shop Hook Collection! I am extremely excited about these new sizes! 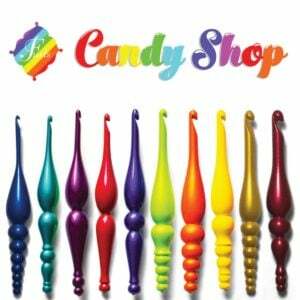 I am eagerly awaiting the arrival of my own Pineapple, 8.0 mm (M) Candy Shop hook! I currently own the Lemon, 7.0 mm (L) and use it quite frequently for blankets and scarves. I normally use a knife hold when I crochet and I find the design of the Furls Hooks to be very comfortable for my hands. 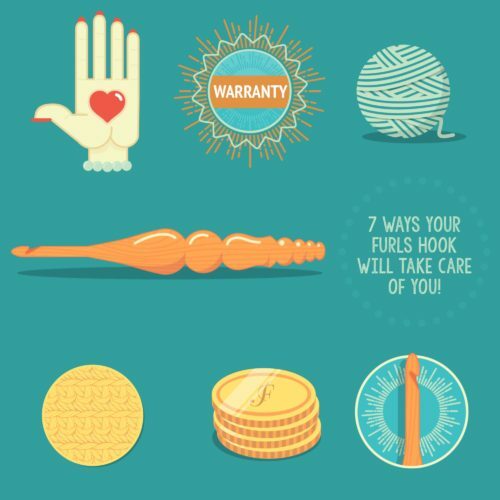 Furls is more than just pretty hooks! 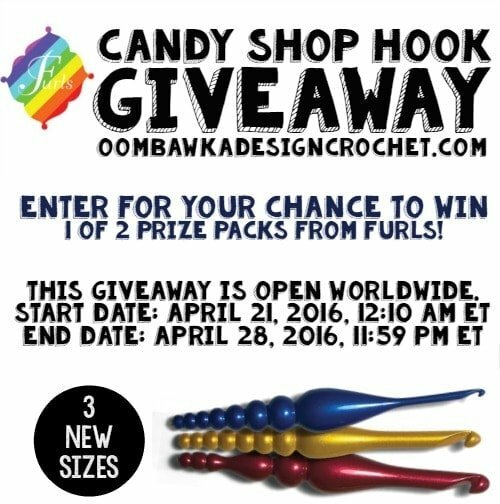 Enter below for your chance to win a Furls Candy Shop Hook! I would love to have these hooks! Can’t wait to try Furls someday! Thanks for the review. These look like awesome hooks! I’ve seen heard good things about these hooks..
I’m so glad it’s worldwide prize as i’m in the UK and miss out on quite a few give aways.. I have seen these on many sites. Often wonder if they would help with arthritic hands. Thank You Rhonda for the wonderful giveaway and all the hard work that you do!!! Ive been wanting to get some of these for a while but am afraid to buy any just in case I cant use them for some reason, I am also a knife holder so these might be good for me also .